It’s easy to reach, access and park and there’s so much to see, do and enjoy whenever you choose to visit. Derby is our most central city and is a great place and good value for group visits. Compact and easy to get around, Derby is a welcoming and friendly city brimming with culture, history, fascinating visitor attractions, super shopping and quality places to eat and drink. 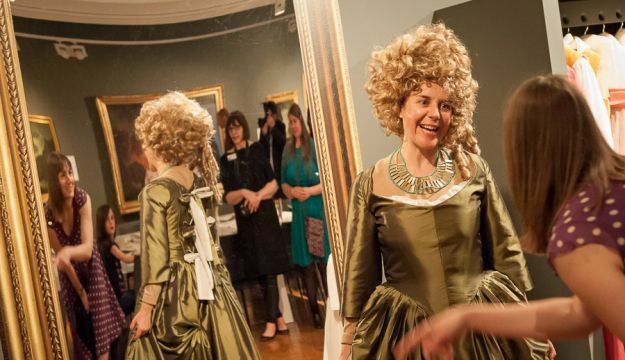 A good place to start your tour of Derby is the brilliant Museum & Art Gallery, where you can drop off your party right outside and then park at Derby Cattle Market. For more information on dropping off points and coach parking plus an excellent map of the city centre visit www.visitderby.co.uk/travel/coachparking or Tel: the tourism team on 01332 256201. The Museum & Art Gallery is in the heart of the city and home to a fascinating and diverse range of nationally important collections. 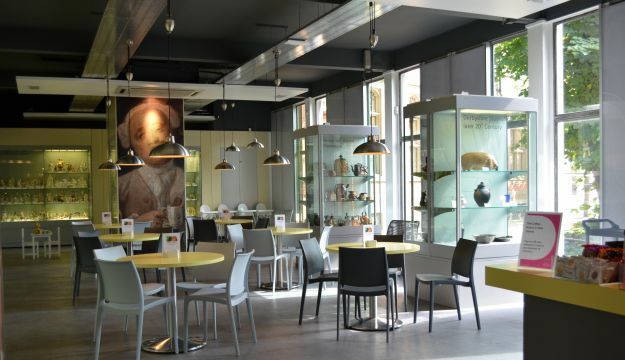 Enjoy your visit amongst the paintings of Joseph Wright of Derby in the new Joseph Wright Institute or share an afternoon tea amidst Derby Museums’ collection of world class Ceramics dating from the 1750s. The Soldier’s Story – from the Battle of Waterloo to the Gulf War, Derby’s soldiers have had an important part to play war and peace keeping missions. The Soldier’s Story tells the stories of soldiers from three regiments; the 9th/12th Royal Lancers, the Sherwood Foresters (now part of the Mercian Regiment) and the Derbyshire Yeomanary. Amongst many intriguing artefacts in the Archaeology Gallery, discover the Hanson Logboat made from a single oak tree trunk. Found at a gravel quarry at Shardlow in 1998, it is one of the oldest boats in the world, made about 3,400 years ago, during the Bronze Age. The new Nature Gallery will be launched in March 2015. 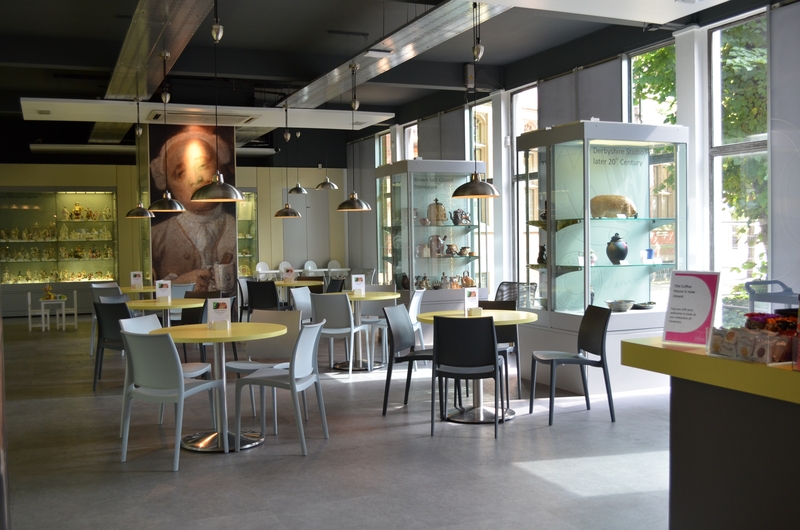 The lovely Coffee House is situated within the Ceramics Gallery on the ground floor of the Museum & Art Gallery. Customers can indulge themselves with scrumptious locally sourced cakes and savouries, all made from fresh ingredients as well as sampling their range of Italian coffee and high quality teas. The Silk Mill: The recently re-opened and refurbished Silk Mill stands on the site of the world’s first factory and is the gateway to the UNESCO World Heritage Site. It is reinventing itself for the 21st century and, through reviving the principles of the Enlightenment is expanding traditional perspectives of what a museum is and can be. The ground floor of the Silk Mill is open after the first phase of refurbishment which is feeding into the larger programme of redevelopment over the coming years. The Silk Mill, is centrally situated in the attractive riverside location behind Derby Cathedral. Roy F Burrows Midland Collection Trust, to create an unparalleled research facility at the Silk Mill – the Midland Railway Study Centre. NB Open for special events and by appointment only. 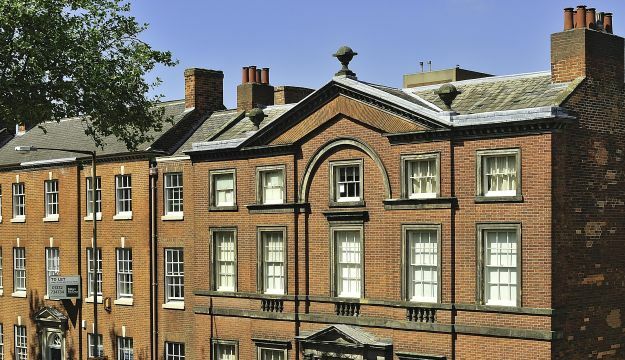 Pickford’s House is a stunning townhouse and garden dated 1770. It was designed by prominent Derby architect Joseph Pickford and used as both his family home and as a professional showcase for his architectural skills. Come and experience the unique Museum of Georgian Life and Historic Costume you will be entertained, well looked after and warmly welcomed by the friendly team. Tues– Sat 10am-5pm, Sunday: 1-4pm, closed Monday. Limited access, please ring for further information. As all the sites are within easy walking distance of each other, you can create anything from a single tour to a full-day package across all 3 museums including refreshments. 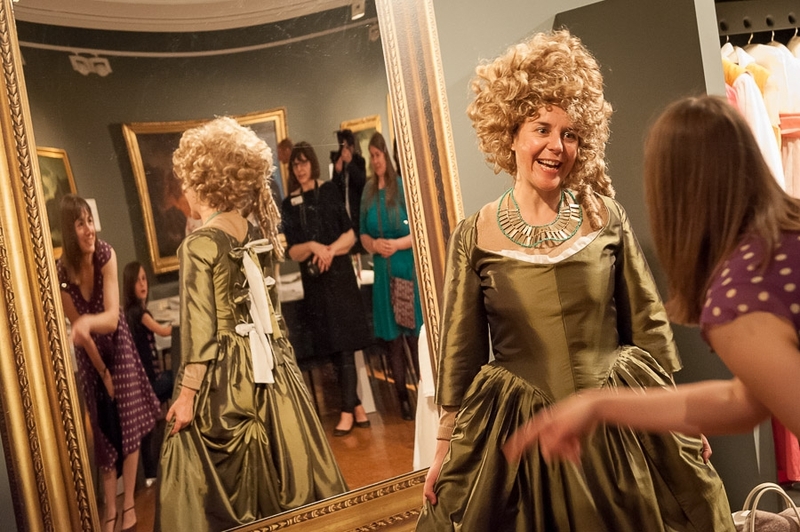 Tours are bookable in advance and include the Joseph Wright Institute tour, the Gallery Tour or the Life and Times of Joseph Wright. All take one hour and provide a fascinating insight into the work and life of this amazingly talented artist. Other tours include Egyptian Life & Death, Derby Porcelain & Ceramics Tour and Historic Walks. 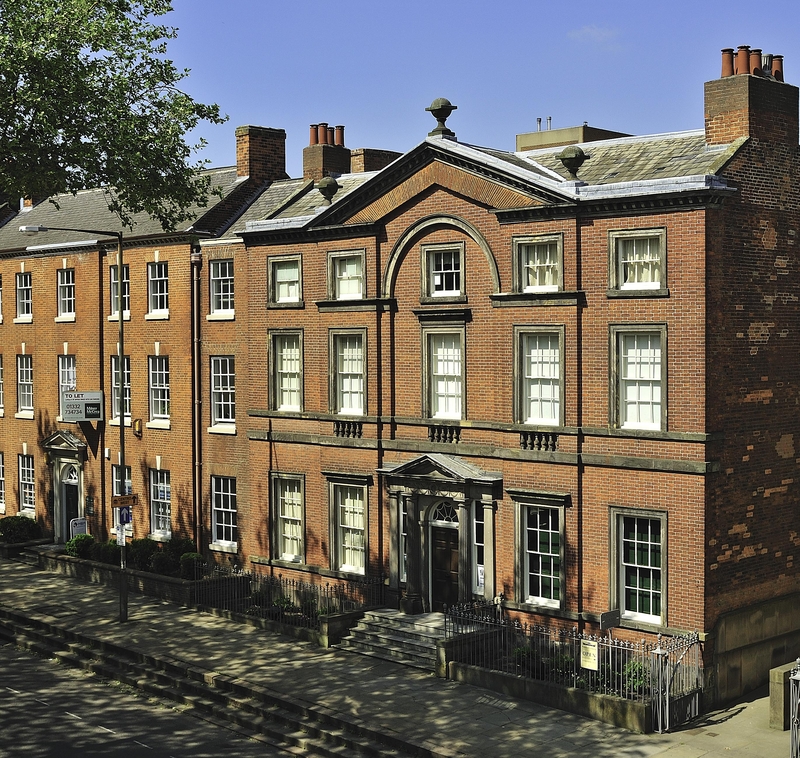 Enjoy the Silk Mill Past & Present and Mrs Knightley’s Costumed Tour of Pickford’s House. Most tours are charged at just £3.60 per person and tea and coffee, light lunches and afternoon teas can be organized at an extra cost. The Best Ale Houses in England – Derby is a good city to sample real ale with many welcoming and quirky pubs to enjoy. The Cathedral Quarter offers a lovely peaceful atmosphere, magnificent Cathedral, unique, independent shops and delightful cafes and tearooms. The World of Westfield is rated as a top shopping destination in the East Midlands with hundreds of shops including Lacoste, Monsoon, Superdry and many more. Fantastic Festivals. Derby is described as the city of festivals with its diverse range of events outdoor performances, music, film and photography. The Derby Roundhouse Tour will take your group on a journey to explore the oldest turning shed in the World where the golden age of steam once ruled. The Royal Crown Derby Factory Tour is a compelling visit showing how the beautiful Royal Crown Derby china is made. Derby Cathedral History and Heritage will take you into this magnificent gothic building, with one of the highest church towers in the country.